Let us make your skin our priority. Your skin plays a key role in your outward appearance, your visible age and your inward confidence. 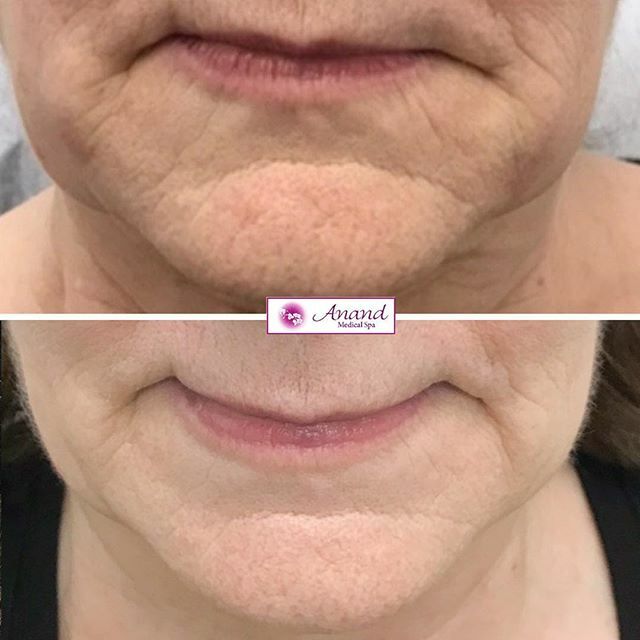 At Anand Medical Spa, we want you to look and feel your absolute best, which is why we offer a wide variety of nonsurgical and effective anti-aging treatments in NYC. Schedule a consultation with Dr. Sunanda Chugh to discover all of the advanced skincare treatments we offer. Ultherapy is the only FDA-cleared treatment that uses ultrasound technology to target skin laxity and tighten skin. Unlike laser treatments, Ultherapy is capable of reaching the deep layers of the dermis, the layer of skin and tissue beneath the epidermis. With more powerful skin penetration, Ultherapy is capable of producing facelift-like results without you having to go under the knife. Good candidates for Ultherapy are generally patients with mild to moderate skin laxity who are interested in nonsurgical skin rejuvenation. Ultherapy can target loose skin around the neck, chin, jawline and eyelids, as well as wrinkles and crepey skin throughout the upper chest. The procedure is completed in about one hour and causes only minor discomfort. Side effects are minimal and include swelling, skin irritation, redness and bruising. Results develop in two to three months and continue to improve as the underlying collagen remodels and tightens. Most patients enjoy an improvement in their appearance for at least one year. Microneedling, also called collagen induction therapy, is a minimally invasive treatment that can target and reduce enlarged pores, acne scars, fine lines and wrinkles, stretch marks, sun damage and more. Dr. Chugh performs all of her microneedling treatments for her patients using the SkinPen, the first FDA-cleared microneedling device. With a series of microneedling treatments, the SkinPen can improve tone, texture and firmness while producing minimal side effects. Most patients undergo a series of three to five microneedling sessions spaced up to six weeks apart to experience optimal results. During a microneedling treatment, Dr. Chugh will apply a topical anesthetic to numb your skin. She will then pass the SkinPen device over your face to target skin damage and signs of aging. The SkinPen creates thousands of micro-injuries that stimulate your body’s natural wound response, increasing collagen production and flushing your skin with beneficial nutrients without actually causing serious injury. Following a microneedling appointment, your skin may look and appear irritated to the same degree as a mild to moderate sunburn. Results develop over a few months as the body rejuvenates your skin and clears away blemishes and fine lines. 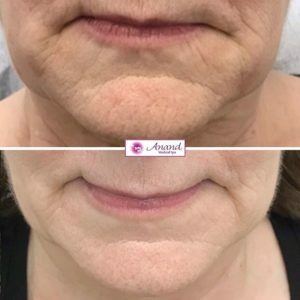 For patients interested in the results of a facelift but not quite ready for cosmetic surgery, a PDO thread lift is a great minimally invasive alternative. During a PDO thread lift procedure, small absorbable threads made of polydioxanone are placed deep beneath the skin to uplift and support the underlying structure. Dr. Chugh uses FDA-approved NovaThreads during her thread lift procedures, one of the top-rated and highest quality medical threads available. The threads are strategically woven underneath the skin through small entry points under local anesthesia. A PDO thread lift can target and tighten loose skin throughout the face, neck and jowls. Each procedure takes less than one hour and produces minimal side effects, including soreness, swelling, bruising and tightness. 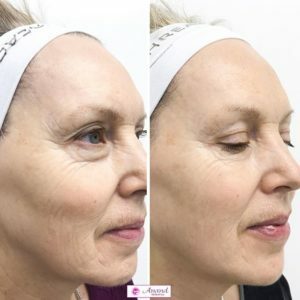 Results often last up to 12 months, as the threads are absorbed and the strengthened collagen structures maintain your youthful look for many months. Chemical peels are a noninvasive and popular skin rejuvenation treatment that requires minimal downtime and produces lasting results. At Anand Medical Spa, Dr. Chugh offers the Vitalize and Rejuvenize medical grade chemical peels from SkinMedica. Each type of chemical peel provides a different degree of skin rejuvenation by targeting different depths of skin to produce varying results. With Vitalize and Rejuvenize, Dr. Chugh can target rough, uneven skin, acne breakouts, enlarged pores, sun damage, acne scars, fine lines and wrinkles, and more. She will help you determine which chemical peel is right for you following an in-person skin evaluation. During a chemical peel appointment, the chemical peel solution will be applied to your face and left in place for a short period while it removes the top layers of dead skin. Each treatment lasts about 30 minutes and can be repeated about once per month. Most patients choose to take around two days of downtime following treatment while their skin is peeling, although you are free to resume normal activities as desired. Once your skin has recovered, it will appear glowing, smooth, radiant and refreshed. Celluma LED Therapy is a new and promising skincare treatment that targets acne, age spots and wrinkles using LED technology. 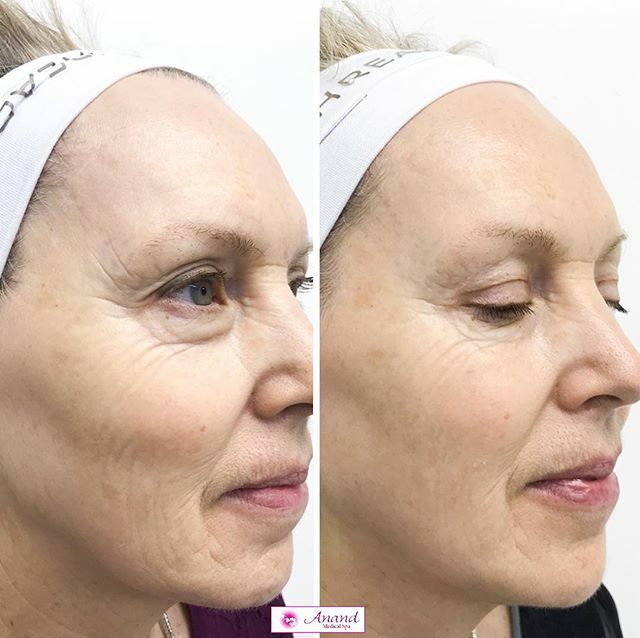 With no side effects, downtime or pain, Celluma LED Therapy makes for a convenient, effective and versatile skin rejuvenation treatment by stimulating collagen production for any patient interested in the latest skincare options. Celluma LED Therapy can also be used to reduce and manage post-procedure redness from procedures such as microneedling, arthritis, joint and muscle pain, in addition to numerous other benefits. Schedule a consultation with Dr. Chugh today to learn more about this exciting new treatment option. Dr. Chugh proudly carries SkinMedica products to help her patients experience the best in anti-aging skincare. With nutrient-enriched serums and natural ingredients, SkinMedica can improve your skin by targeting fine line and wrinkles, dryness, sun damage, uneven texture and much more. SkinMedica products work to increase collagen production, providing long-lasting and effective skincare in the privacy and comfort of your own home. Talk to Dr. Chugh about SkinMedica during your consultation to learn more. At Anand Medical Spa, Dr. Chugh offers the latest in nonsurgical anti-aging therapies. If loose skin, wrinkles, acne scar, sun damage or skin blemishes have contributed to an aged or worn appearance, schedule a consultation with us to learn how we can help you. Call us today at tel:212-653-0366 to schedule your appointment and begin your skincare journey.